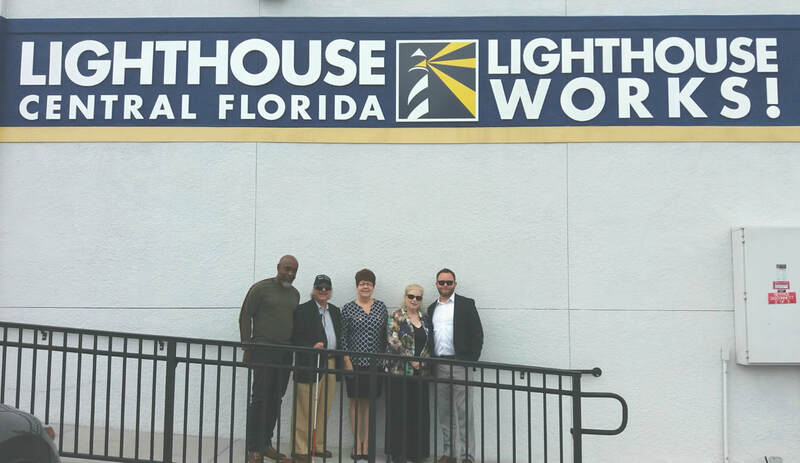 The incredible team at Lighthouse Central Florida has given us their utmost support from Day 1 of the Blind and Beyond Radio Show. Thank you for believing in our mission which is to provide a support platform for the blind and visually impaired via a fun and informative, commercial radio program. Our show is the bridge between the blind and visually impaired and the sighted community throughout the country. October 23. 2018 : Shown in photo, left to right: Richard Alleyne, Communications & Public Policy Manager, LCF; Michael Golder, Radio Host; Lee Nasehi, President and CEO, LCF; Lynne Golder, Radio Co-Host & Executive Producer; Kyle Johnson, Vice President, Sales and Marketing, LCF.